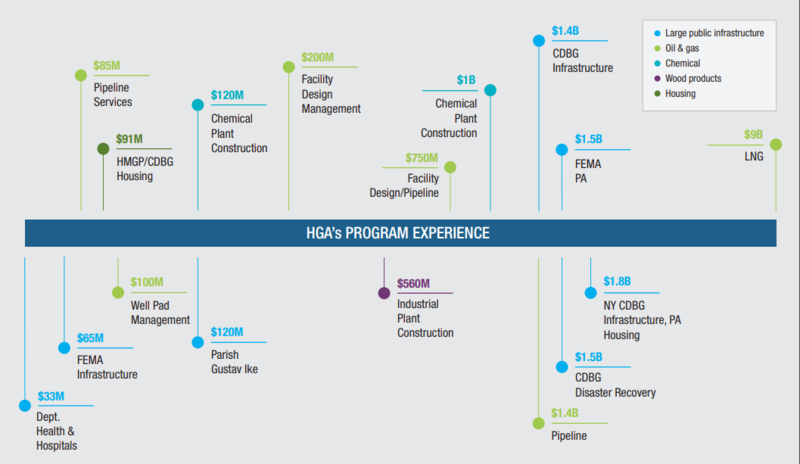 From Large Public Programs to Mega PetroChem/Manufacturing Projects, HGA serves as owner’s representatives to provide the expertise, processes, and project controls needed to successfully assist Owners to deliver large-scale greenfield and brownfield projects, including project recovery services. Regardless of your project’s scale, complexity or operational dynamics, we work with owner’s to help confirm the availability and accuracy of information, define project KPI’s and mitigation plans, determine technical and financial viability, implement the needed processes for controlling the project and provide the needed expertise across the project spectrum to deliver successful projects. Benefits include improved management visibility through accurate timely reporting, improved decision making, increased accountability and an improved span of control for successful project deliveries. As your owner representative, we represent you and are 100% committed to supporting you as your trusted advisors and make sure your desired project outcomes are achieved. For more information about how we can protect your significant capital investment, please call us or send us an e-mail.